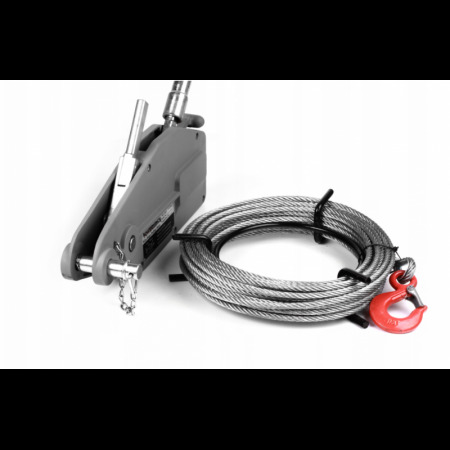 High-quality wire rope (kifor), signed with the Powerwinch logo, is a very versatile device. It allows you to drag, lift, lower or secure the load. 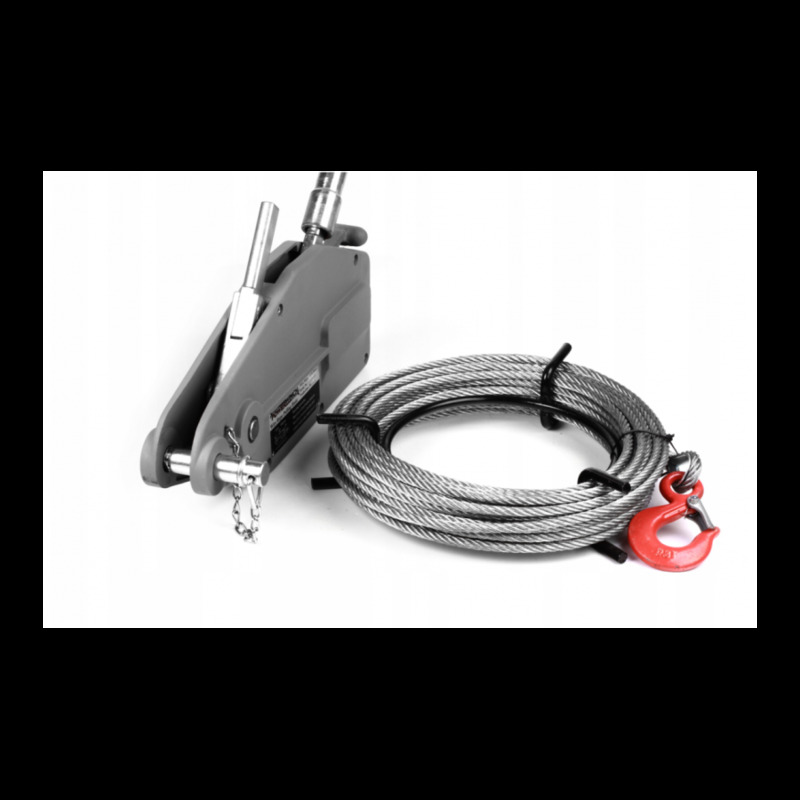 The winch has overload protection, two handles (forward and backward), rope release handle (allows for quick insertion or pulling out of the rope). In a set with a kiforem a 20-meter long rope ended with a solid hook and a long comfortable working lever. Rope: Steel 8,3 mm x 20m.